From Burglar Alarms to Access Control Systems and Security Lighting to CCTV systems the solutions we provide vary greatly. 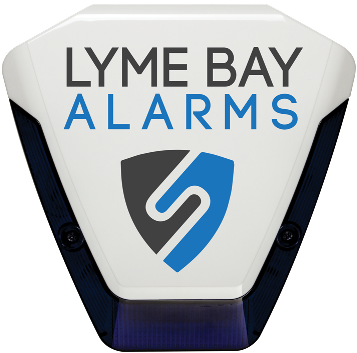 But while what we offer may change your assured that Lyme Bay Alarms will always provide only the right security solutions that are best suited to you. Since incorporation in 2004 Lyme Bay Alarms has been guarding domestic and commercial properties throughout the area. That’s because from project start to finish we offer the most cost effective, custom made security solutions in the county. Lyme Bay Alarms has grown year on year as the only company in the area that gives access to the best security products at always the best prices. As result managing director Richard Smith continues to see his company make leaps and bounds as the go to guys for all things security. Whether its new clients, repeat customers or simple word of mouth our reputation expands in time with the business itself. As such Lyme Bay Alarms hallmark is one of reliability as well as affordability. And as the most reputable turnkey security provider in South West England our customers simply refuse to go anywhere else for their security requirements. Get a free security assessment today by calling us on 01297 20529 or contacting us. In the meantime take a look at the security systems we currently offer.